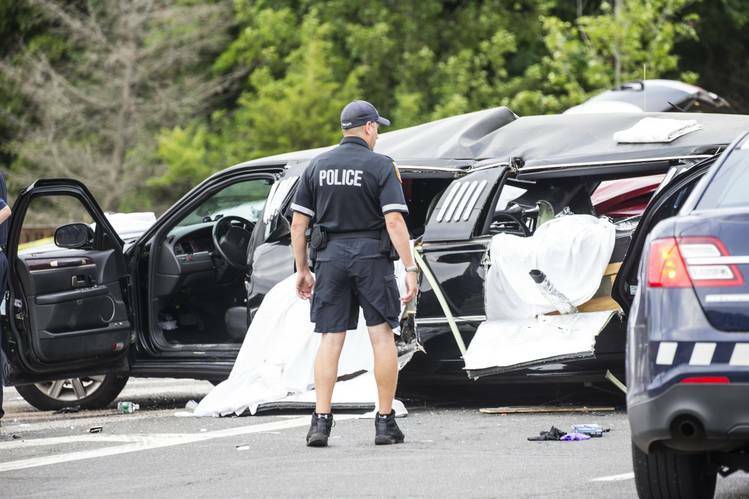 The limousine involved in what has been described as the deadliest accident in the United States for nearly a decade, had failed inspection and the driver was not properly licensed, a top official said Monday. Twenty people were killed when the SUV-style stretch vehicle careened out of control on Saturday in Schoharie, a town in New York state, killing all 18 occupants and two pedestrians. The passengers of the limo — including four sisters, newlyweds and young couples — were all celebrating a birthday party, according to US media. The driver lacked the appropriate license to operate that vehicle and the limousine last month failed a state inspection and was not supposed to be on the road, Governor Andrew Cuomo said. He said a federal government and state police investigation are ongoing, and the cause of the accident remains unclear. But the company that operated the limo has been served a cease and desist order until the investigation is concluded, Cuomo added. “The owner of the company had no business putting a failed vehicle on the road,” the governor said. Police said the 2001 Ford Excursion failed to stop at an intersection and continued into a parking lot, ultimately crashing into a parked car.